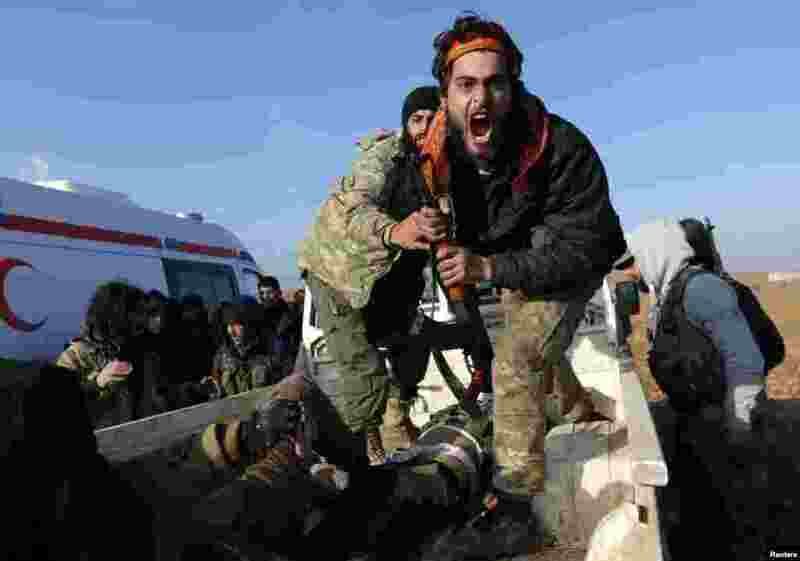 ١ A Free Syrian Army (FSA) fighter reacts as he mourns near the body of his brother, who was an FSA fighter and died during an offensive against Islamic State fighters to take control of Qabasin town, on the outskirts of the northern Syrian town of al-Bab. 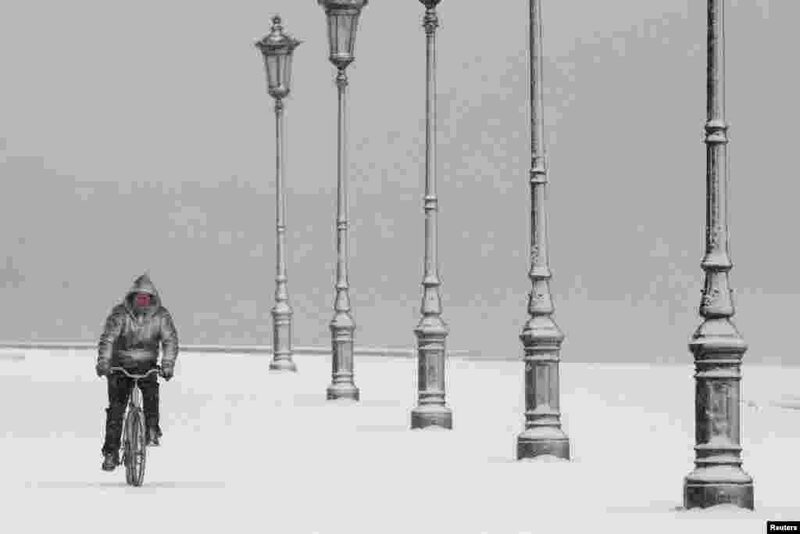 ٢ A man rides his bike during heavy snowfall at the seaside promenade of the northern port city of Thessaloniki, Greece. 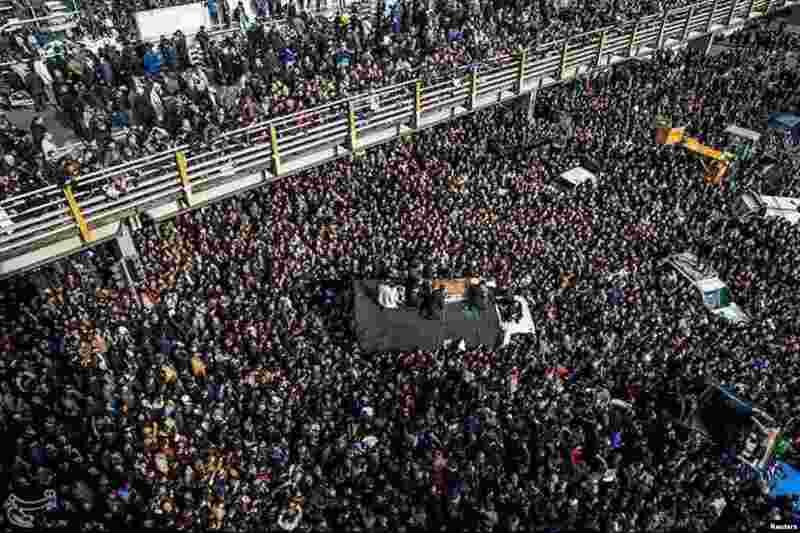 ٣ Mourners gather during the funeral of former president Ali Akbar Hashemi Rafsanjani in Tehran, Iran. 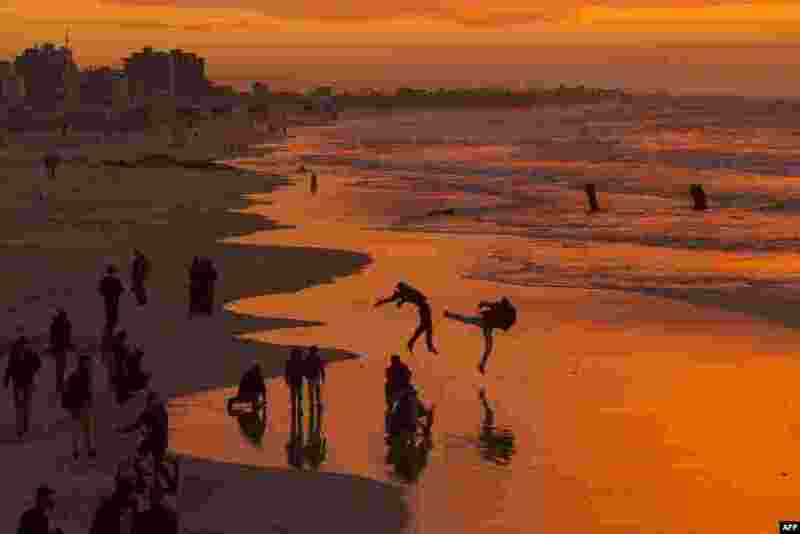 ٤ Palestinians make jumps on the beach during the sunset in Gaza City.